Are you a writer looking to share your knowledge and passion with young people? Do you want to develop your skills running school workshops? Our new course, developed in partnership with Arvon, BookTrust and The Reading Agency helps writers who want to engage with schools, libraries and cultural and community venues to deliver workshops for children and young people. We do not currently have any dates booked for the School for Writers course in 2019. We are particularly keen to hear from writers from diverse backgrounds and underrepresented groups. For your application to be considered, you have to have had at least one of your own works published. For poets, this means a collection rather than inclusion in an anthology. There is a bursary available which would cover the full cost of the course for two writers. For further information, please see the application form. Resources and training to support and promote early reading and phonics. 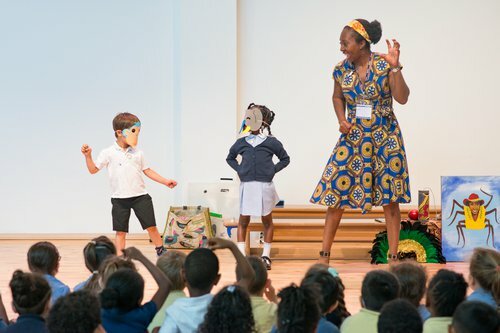 School for Writers helps you engage with schools, libraries and cultural and community venues to deliver workshops for children and young people. In association with Exeter University and developed from our Literacy for Life programme we are now offering secondary teachers the chance to become accredited literacy leaders. We invite qualifying UK schools to apply for our "Working with the National Literacy Trust" logo to use on your website, signage and letterheads.